There are many conditions that lead to cracks on asphalt shingles, some due to wind, other to impact damage. Another that’s not as well-known is called thermal splitting. Your roofing and siding contractor, Elite Construction, takes a closer look. Roofs are constantly exposed to the elements, and are therefore subject to expansion and contraction from temperature changes. Think of the roof as two separate components: the sheathing and roofing felts forming the roof deck and the outer roofing composed of the asphalt shingles, starter strips and ridge caps. These two components expand and contract at different rates, as they’re made of different materials. Since both components are attached to each other using nails and/or adhesives, the difference of expansion in one will affect the other. It creates stress points that, over time, will result in thermal splitting – stress cracks in the shingles – that will require intervention from a roofing and siding company before it gets worse. The key to preventing thermal splitting is in choosing a quality roofing system, with correct installation techniques. The sheathing or decking material has to be properly spaced, similar to how concrete blocks on roads are spaced for expansion. Likewise, the quality of the outer roofing material matters, not the style. Whether it’s traditional three-tab shingles or custom dimensional shingles, they all expand and contract at the same rate. Whether they crack easily is another matter. If your roof is up for replacement, choose a complete roofing system offered by a roofing manufacturer that you trust. For instance, the GAF Lifetime Roofing System consists of components designed to work as a whole system. The shingles and decking have specific installation instructions to ensure minimal thermal splitting. When installed by a GAF Master Elite® contractor like us, you’ll have the assurance that these will be installed correctly, with workmanship warranty coverage in case of installation errors. 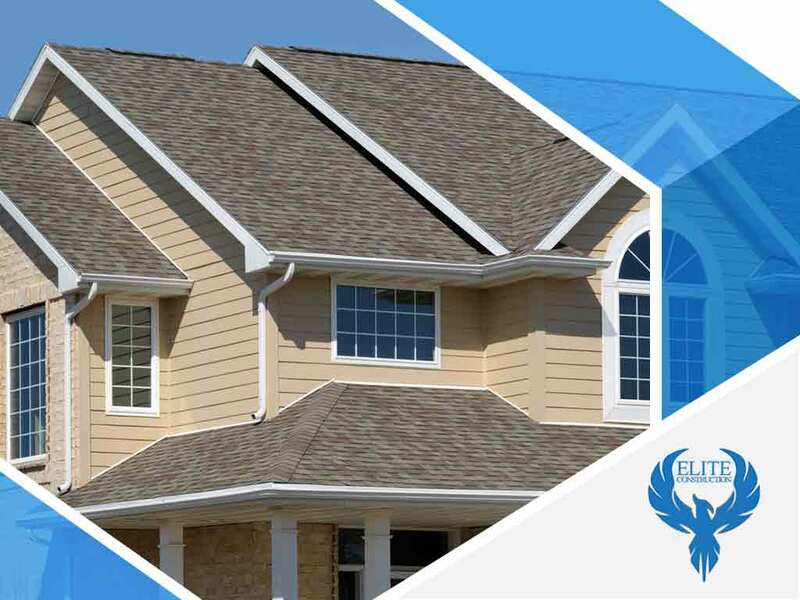 To learn more about our roof, siding and window replacement services, call Elite Construction today at (844) 217-0506. You can also fill out our contact form to schedule a free estimate. We serve many areas in and near Golden, Thornton, and Lakewood.